1. Wash ice tray by hand or in a dish washer before first use. Use dish soap to remove silicone smell if you feel it too strong and that bothers you . 2,Fill the tray with liquid and place the lid on top, leave the tray in the freezer for four to five hours. When frozen, pull off the lid and the ice balls are easily extracted from the flexible silicone tray. 3,Clean it afte used, store in dry place and avoid direct sunlight. The silicone tray is in two halves and sometimes these have leaked and may resulted in mis-shaped diamond ice cube.So we can fill the tray through the holes then continue to fill the top of the tray, this weighs down the top and creates a better seal. 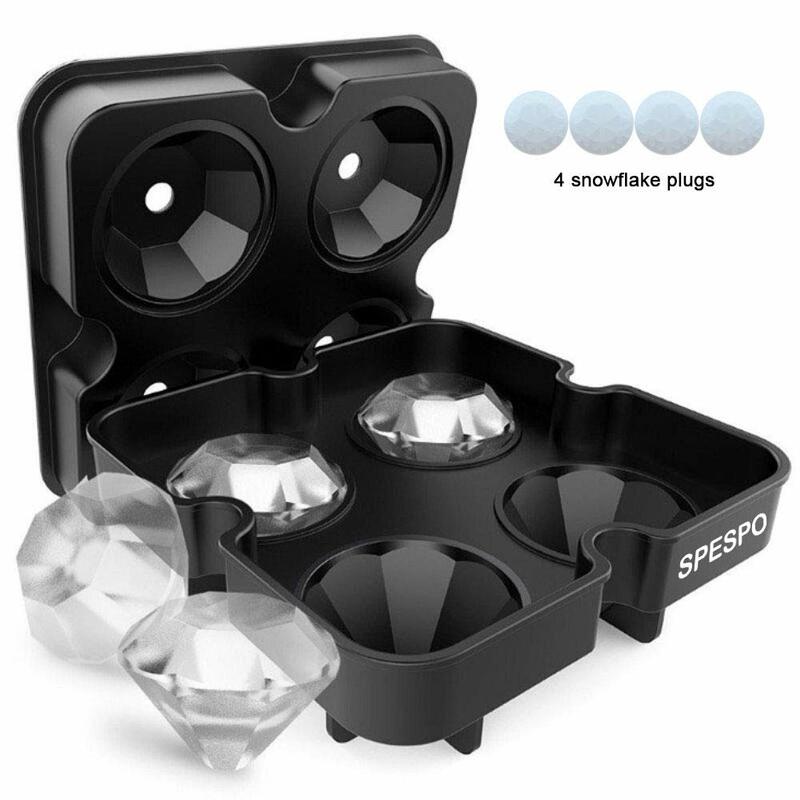 4,Easy to fill, Easy to use, Easy to clean, Dishwasher safe.Silicone ice trays won’t crack or break like stiff plastic moulds or ice cube trays. 5,We are kindly reminder you this product only sell by Spespo Store. Other seller under our listing don’t have our brand product,they are not same quality and big size.